We can't give you a quote from Connor H Peters, but we have hundreds of drivers waiting to offer you a great price. Have a question for Connor H Peters? No problem, send them a message and they'll email you back as soon as possible. If you have a more general question you might find it answered in the FAQ, or you always contact one of our brilliant customer service team. * Connor H Peters won't be able to see your email address. 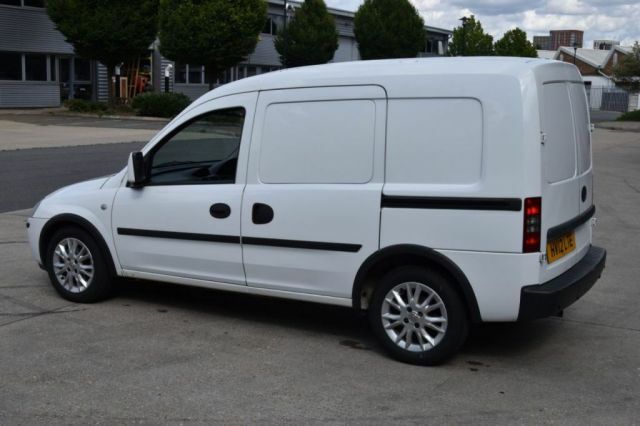 Heya, my name is Connor, a small van and Transit van (medium/large) owner based in North London. My aim is to make your move Swift and Stress free. I am always on time and will be a flexible as can be to make the customer`s move as easy as possible. Thanks and feel free to message me with any questions! Gold Compare the man and van service. Really nice and helpful driver. Would certainly recommend! Absolutely fantastic service - on time, well driven and careful, with good humour throughout. Outstanding service, would definitely book again. Connor was amazing from beginning to end, couldn't ask for more. Brilliant communication before the move, flexible timing, on time and treated all items with care. Great guy to chat to while moving, friendly, helpful and generally outstanding. Would recommend to anyone! Really nice guy. Did the job perfectly. Would recommend to anyone :). He deserved the tip I gave him. Connor was very helpful and also a great company on our journey through London! Highly recommend. Connor was fantastic - super helpful, polite and hard-working. Highly recommend him - thanks again Connor! Driver was very good, thanks! Connor was lovely and super professional, highly recommend his services! Connor helped out even though he didn't need to and we had a friendly chat during the drive over. Great experience! Dear man and van, you ought to may customers pay per mileage, not by hour. I booked a small van for 2 hours, thinking that the trip could be taken twice. 2 trips were done, in less than 2 hours but the driver charged me an extra £5 for mileage. The driver was great, but you as a company are very misleading and i won't book your services anymore. The quote you receive is all inclusive for the details you enter in the quote form. However, the quote can only be generated on the details you have entered. In addition, it should be remembered that each quote is partly based not only on time and size of van required, but also distance. Therefore, if you ask the driver to make an additional trip within your booked hours, this is not a problem at all, however, he is perfectly entitled to ask you to pay his 'via stop' charge for the second trip, and a small amount for the additional mileage and the £5 you were charged for this would not seem unreasonable. This information is not hidden and is contained in the 'Five Things You Really Need to Know About Your Booking' which we send to you when you book with us and we are sorry that you did not read this. Connor was really helpful and polite. Definitely recommend him and will use him again. Connor provided prompt, excellent and polite 5-star service. Highly recommended. Connor was a lovely guy and very helpful during the move. I would definitely use him again and certainly recommend him to anyone else. Great service, really helpful thanks! Excellent, the second time I have used Connor to move. Have recommended to friends and family. Connor was very helpful and polite. I finished my removal quick! Great experience 10/10 recommend Connor! Connor was amazing and I recommend him to anyone moving!! It was such a pleasure to move with Connor, he was extremely helpful and friendly and he made my move very easy. Thank you! Lovely driver and made my move less stressful!! Thank you so much Connor for giving us an exemplary service. Friendly, helpful and professional and, my boyfriend has told me to type, a Spurs fan. Connor was polite and professional. He did all the heavy lifting (despite me living on the fourth floor with no lift) which was hard work. He wrapped my tv in his blankets without me asking to ensure it was protected in transit. All in all, my move ran smoothly thanks to Connor's help which is greatly appreciated. I had to move alone and the driver was very helpful and respectful. I was very happy with the service!!! I will suggest him to everyone needs to move and needs someone who relay on! Connor was impressive. He helped me load and unload the Van even if I couldn't carry anything as I was hill. I definitely recommend him to everyone. Thanks a lot Connor. The van was not big enough for the goods listed in my request. One item would notbevrn go inside the van. It needs to be made clear if the driver needs actual dimensions of items e.g. Wardrobe. Even though we listed a wardrobe as an item the driver accepted the job without even asking the size. It was a standard size wardrobe . We were left in a predicament on a main rd . Customer Services were not at all helpful. As an online booking platform, it is made clear that we rely entirely on the customer to choose the correct size van for your move. We provide a wealth of information to enable you to do this, and are always on hand to offer advice, but ultimately this is always your responsibility as only you know what you are moving.. Given that you booked incorrectly, unfortunately there was little we could do other than offer to rebook you for a larger size van. Great communication, extremely trustworthy and a pleasure to deal with. 5*!!! Connor was really helpful and very chirpy, definitely made the hassle of moving boxes up stairs easier to handle! Also very prompt to arrive. Really friendly and great chat, offered to help even though he had a broken hand! Would recommend! Nice and helpful driver. Arrived on time but he had even texted me in advance that he may be running a few minutes late due to traffic. Thank you Connor, for all your kindness and profissionalism! professional and charming guy. Even at 4am was happy and helpful. thanks connor! Connor was very friendly and very helpful. Everything was on time. Driver was extremely nice and personable. Great drive. Connor was extremely helpful and professional. He made the move very much less stressful for me. Thank you Connor!